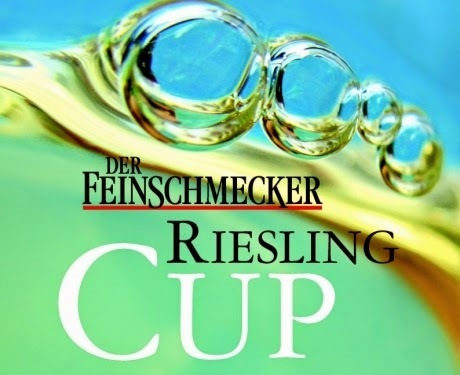 The results of the Feinschmecker Riesling Cup 2017 - Germany’s Best Dry Rieslings - were published in the February 2018 issue of Der Feinschmecker, Germany's leading gourmet journal. Der Feinschmecker: The Riesling Cup 2017 goes to the winery Franz-Josef Eifel (Mosel) for the 2016 Trittenheimer Apotheke Alte Reben Riesling trocken and the winery Maximin Grünhaus (Mosel/ Ruwer) for the 2016 Abstberg Riesling Grosses Gewächs - because of equality of points both wineries share first place. In third place follows the winery von Hövel (Mosel/ Saar) with the 2016 Saar Riesling trocken. Congratulations! 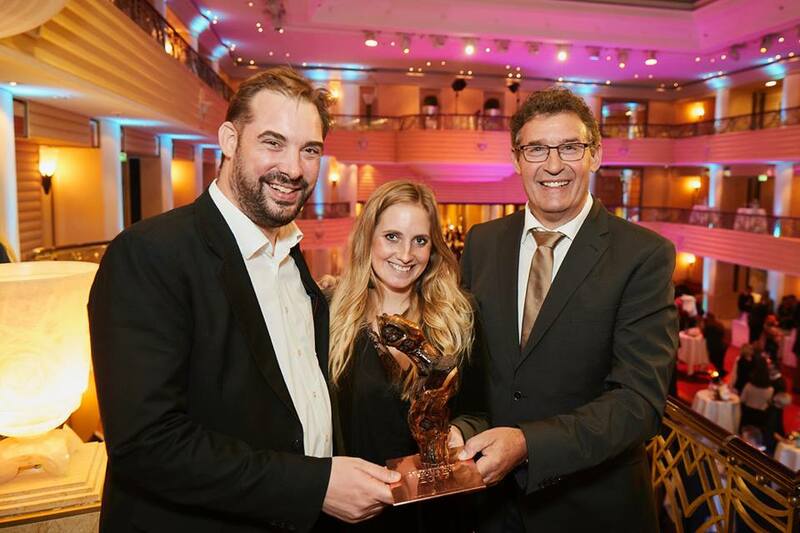 The Award Ceremony - Feinschmecker-Gala des Rieslings - took place in the Grandhotel Bayerischer Hof in Munich on November 18, 2017. There are approximately 47,000 hectares planted with Riesling worldwide. Germany—with 22,500 hectares—accounts for about half of the total. From a global perspective, Riesling is a niche grape variety, accounting for less than 1% of world wine production. From a global perspective, it is the fruity-sweet style (with the fermentation stopped so that the wine remains sweet and the level of alcohol low) and the rare noble-sweet style (lusciously sweet wines due to noble rot or frost in the vineyard) that are receiving the attention of the connoisseurs of premium wines. Dry Riesling has played a minor role in the world of wine, but this is changing. The Rieslings from Alsace and Austria, both considerably smaller producers of Riesling than Germany (Alsace produces approximately 15% and Austria approximately 7% of what Germany produces), have always been in the dry category (although the Rieslings from Alsace have shown a trend toward an increasing level of remaining sweetness in the wine over the past decades), and, importantly, Germany, the dominating Riesling force in the world, has undergone a major trans-formation in the past 40 years: The fruity-sweet Rieslings have been crowded out from the wine lists in Germany, while the “dry wave”—“Trockenwelle”—has swept the country. When you go to a wine bar, wine store, or restaurant in say Frankfurt, Berlin, or Munich, it is very difficult to find a fruity-sweet Riesling. The wine lists are dominated by dry Riesling. Germany’s Best Dry Rieslings - Feinschmecker Riesling Cup 2015: Dönnhoff Rules! The Nahe Rules! Château Pichon Longueville Baron in Pauillac is one of the most stunning estates in Bordeaux. It is currently owned by the insurance company AXA Millésimes. Nicolas Santier, responsable du développement réceptif et tourisme, was our host. During the tour, we were welcomed by Jean-René Matignon, Technical Director. Château Pichon Longueville Baron (often referred to as Pichon Baron) in Pauillac is one of 15 Deuxièmes Crus in the Classification of 1855. It was once part of a larger estate, owned by Pierre de Rauzan, along with Château Pichon Longueville Comtesse de Lalande. In 1850 the estate was divided into the two current Pichon estates facing each other as one enters Pauillac along the D2 highway. Château Pichon Baron stayed in the de Pichon-Longueville family until 1933 when the last surviving family member sold it to Jean Bouteiller, member of a family well-known in the Bordeaux wine scene. His heirs did not manage to keep the quality of the wines and in 1987 the estate was bought by AXA Millésimes. With the new owner, reconstruction of the fermenting room and cellars, and renovation of the château itself, began in 1988. Excellent terroir across from the 1st growth Latour property, stretching south bordering the Léoville estates in Saint-Julien gives the wines elegance, balance, and finesse. Château Pichon Baron's 73 hectares are planted with Cabernet Sauvignon (60%), Merlot (35%), Cabernet Franc (4%) and Petit Verdot (1%). The average age of the vines is 30 years. Grapes are harvested and sorted by hand, and then macerated for 20-30 days, and fermented at 28-32 °C in temperature controlled stainless steel vats of varying sizes. The wine is transferred into oak barrels for aging after finishing its malolactic fermentation. The estate also produces a second wine, Les Tourelles de Longueville. Les Griffons de Pichon Baron is the estate's latest addition. The property is currently managed by Christian Seely. AXA also owns one of the larger Bordeaux wine negociant companies, Compagnie Medocaine. We tasted all 3 wines. The 2016 and 2015 vintages were from barrel, the others from bottle. I have put the wine searcher average prices in US$.in brackets. Following the tour and tasting, we walked over to the chateau for lunch. We started off with a Champagne reception in the private rooms of Château Pichon-Longueville-Baron. We than proceed for lunch to the dining room. I have added the wine-searcher average prices in US$. Thanks Nicolas Santier for a wonderful lunch.